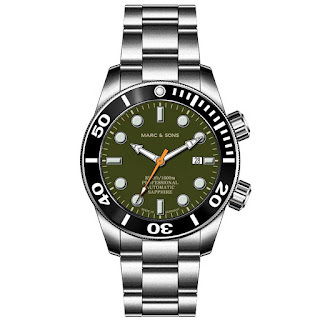 I know very little about Marc & Sons as a brand, but I know a nice dial color when I see one. 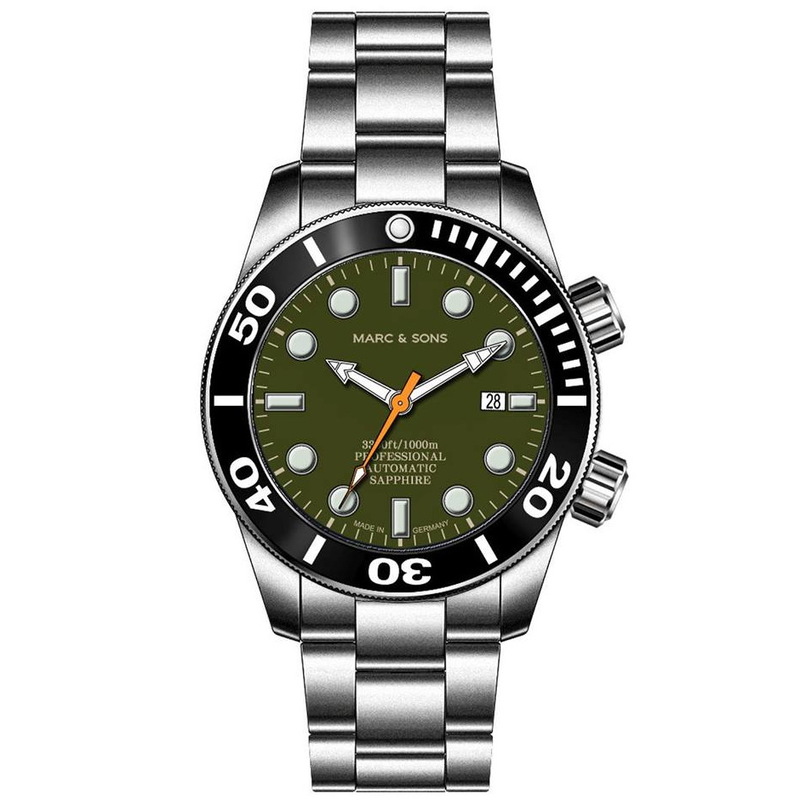 Coming soon from affordable German brand, Marc & Sons is this new olive green faced Pro Series. Basic spec. (going by current versions in the collection) includes: a 46mm Stainless steel case, a Seiko NH35 auto, a Sapphire crystal and 1000 meters of water-resistance. MSRP around 320 euro.